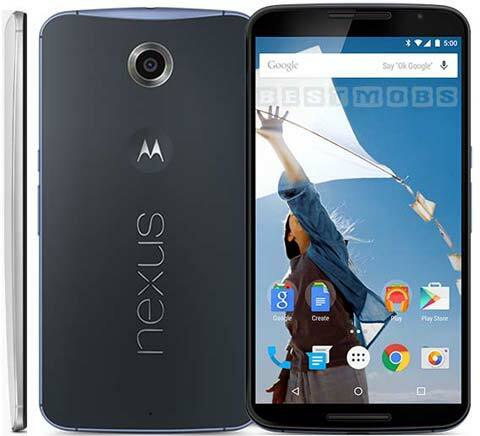 Android Smartphone’s have gained lot of recognition since the last few years. Google’s Android has become the biggest competitor to Apple’s iOS. The sales of Android smartphones have increased to a very high extent since the last few months. We all love our Android smartphone, don’t we? And I am even sure none of us can stay a second without our phone. We have been so addicted to our Android phones that even while walking on the roads we constantly check them, well its wrong, though, enough to prove our addiction. One such reason for our love towards Android is that it has millions of apps available for free, many interesting features from pattern lock to high storage capacity and powerful processors. Today, there are hundreds of Android phones available in the market. In a month about not less than 10 new phones with different and interesting features are launched. And this is really something to get confused about like which phone is a better one, which one to buy and which not? One of the best phones launched by Samsung last year is its Galaxy Note 4. The phone is quite better than its predecessor Galaxy Note 3. The screen size is quite big i.e. 5.7 inches but individuals are in love with it and that’s the reason its sale have gone high. The smartphone is running on Android 4.4.4 i.e. Kitkat but is providing the users with the Lollipop update. The camera is 16 Megapixel with latest OIS technology, so users can click high quality pictures and 3,220 mAH Battery. Though the price is little higher than others but if you want such features then go for this one. These reasons make it to the top of the list. This feature loaded Phone is a sure shot buy for those who want one with many features but at a less cost. It s available with 32 GB as well as 64 GB internal storage and 3 GB RAM which means you can use many apps at a time, 3100 mAH battery so no worries regarding fast discharge of it. The smartphone is available with latest Android Lollipop, 13 Megapixel rear camera as well as 4G Connectivity. The reason it makes 2nd in the list is that it is available at a quite a low price compared to others with so many features. Well, it is said that Galaxy S6 has been the best phone compared to previous ones of this series. The S6 phone has 5.1 inch display with high picture quality. The phone has a 16 Megapixel camera, though battery life is fine. This time you can enjoy the use of fingerprint feature but no option of expanding the phone memory, it is providing max upto 128 GB internal storage. Wireless charging not part of this phone but still many interesting features makes it NO.3 in our list. 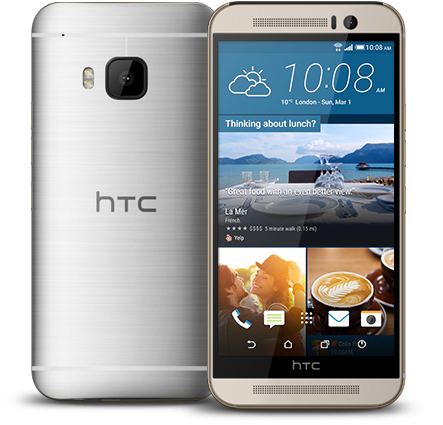 HTC One M9 has made fourth in our list. Though HTC phones are not that well-known like other phones among the people but it is best known for its design. The Front Facing speakers provide a high quality sound. The rear camera is 20 Megapixels which is easy to judge how high the picture quality. So if you are a HTC fan then I would say go for this one as this is quite better than earlier HTC models. This one is a big on, it is 6 inches big. The first phone to run Android Lollipop 5.1. It has dual speakers on the front side of the phone so you can enjoy loud music anywhere. It has a 13 Megapixel camera. But there is no expandable memory so you can get here only internal storage. 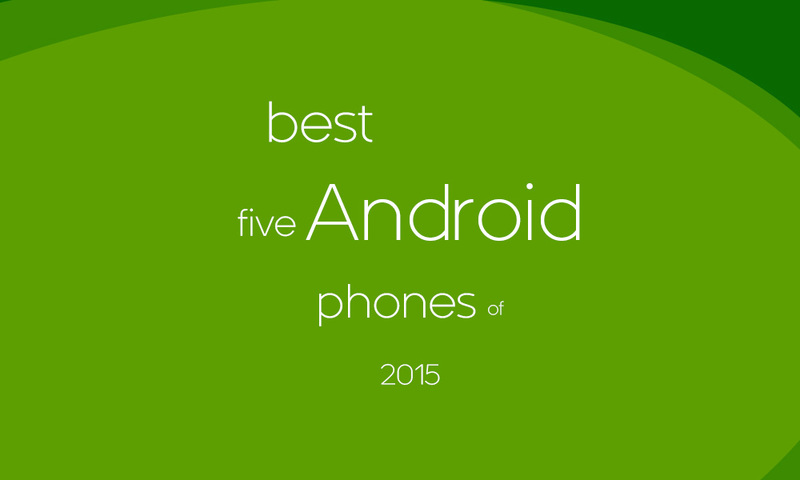 These are the top 5 Android phones of 2015. Well, this will make your work easy as now you know which one is better. So you can select the best one depending on the features which suit you the most as well as the price.